It looks like the villains will have some new company on stage during Mickey’s Not So Scary Halloween Party this year. 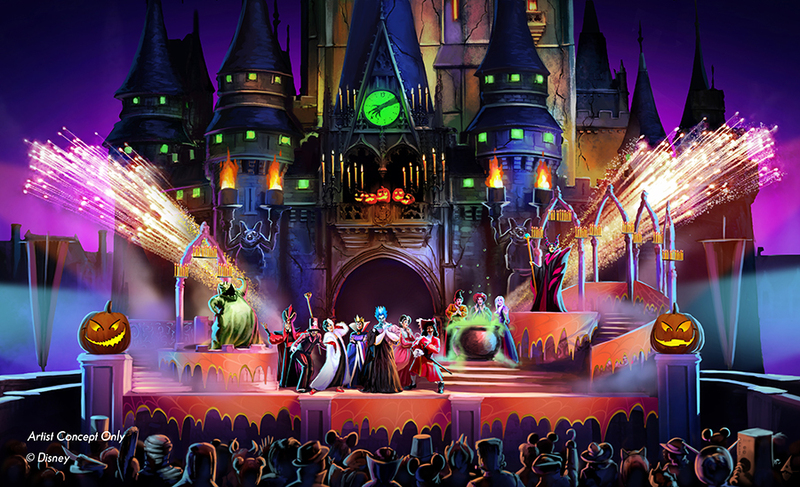 Disney has announced that a new show will replace the long running Villains Mix and Mingle nighttime show in front of Cinderella’s Castle during MNSSHP. Read more about what’s coming to the party after the jump. This year at Mickey’s Not So Scary the Sanderson sisters will finally be making an appearance. As the years have gone on Hocus Pocus has become my favorite movie during the Halloween season. I love that the Sanderson sisters be taking center stage during the party. The usual villains will also join them during the show. Unfortunately it looks like the sisters won’t be out in the park for a meet and greet. Hopefully that’ll change in the future. Behind Magic will be at this year’s Mickey’s Not So Scary, so expect reviews and tons of content live from Walt Disney World in late September. Questions? Comments? Want to see a particular event, attraction or restaurant covered here on the blog? Leave a comment below to let us know and join in the conversation!